Living in a tropical climate such as Puerto Vallarta’s will be a great relief especially when the frigid winter days and uncomfortable chilly precipitation burdens you. You don’t have to wrap yourselves up anymore when you retire in Puerto Vallarta and you have more opportunities to get out and enjoy your surroundings all year long! Puerto Vallarta is indeed the perfect climate for your retirement. 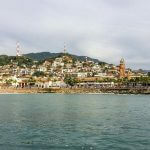 The lower cost of living in Puerto Vallarta is a treat for many retirees and one of the most obvious reasons many people chose to retire in Puerto Vallarta. Most of the things you need to spend money on are generally lower in cost compared to other countries like the United States, Canada, or Europe. Housing options vary from inexpensive to luxurious depending on your choice. What’s best is the affordability of medical and dental care which is far lower compared to what other expats spend on other countries. Abundant and affordable fresh produce will help you enjoy healthier eating when you retire in Puerto Vallarta and you won’t have to spend a lot with groceries since most of these are also inexpensive. Who wouldn’t want to spend their retirement days with some enjoyable activities like playing golf and fishing? Puerto Vallarta is the ideal place to perfect your golf swing and fulfill your dream of regular playing upon retirement. There are several amazing golf courses near Puerto Vallarta where you and your friends can enjoy a competition amidst breathtaking surrounds. You will also have the time of your life catching that “big one” when you retire in Puerto Vallarta. The nearby Pacific waters and the Banderas Bay are teeming with varieties of amazing fishes. A lot of companies will be there to help you get to them and get that trophy! If you are a fishing enthusiast, you can spend each day of your retirement with the waters and the fishes. Considered as a foodie’s dream destination, Puerto Vallarta offers an astounding number of palatable delicacies. Your choices range from gourmet fine-dining restaurants to delectable street foods. Over 50s who decide to retire in Puerto Vallarta can experience a diverse company of fellow retirees and other expats here. You can find this new social circle whether you lounge on the beach, take part of a charitable organization, or participate in some game nights. These and other places and events will surely let you come across new friends you will add to your circle of friends.